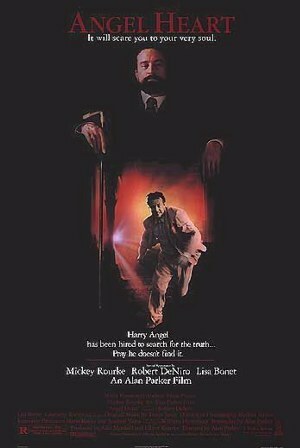 Harry Angel (Mickey Rourke), a down-and-out 1950s Brooklyn gumshoe, is hired by shady Louis Cyphre (Robert De Niro) to locate a pop singer who reneged on a debt. Each time Harry makes contact with someone who might know the singer's whereabouts, though, he or she is killed in a horrible, ritualistic fashion. Harry's journey soon leads him to the sweltering, voodoo-filled swamps of Louisiana in search of a Satanic cult. Lisa Bonet co-stars.